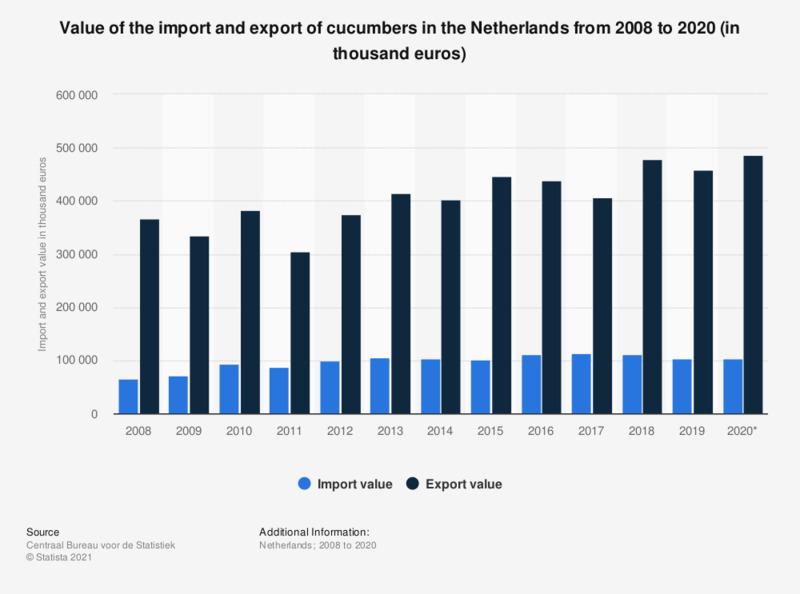 This statistic displays the value of the import and export of cucumbers to and from the Netherlands from 2008 to 2017. It shows that between 2008 and 2017, the value of the exports was higher than the value of the imports. The figures include fresh and chilled cucumbers and exclude provisionally preserved cucumbers.